Right before weekend's snow/rain storm, we had a very warm and sunny day, so I decided to go for all white look. I'm a strong supporter of wearing white in the winter, but I have to admit that I felt a bit weird for wearing white pants. Still happy that I did it. This sweater was one of my favorite purchases from last winter. It's from Loft and unfortunately not available anymore, but I linked similar version at the end of the post. It's also warm, white and adorable. 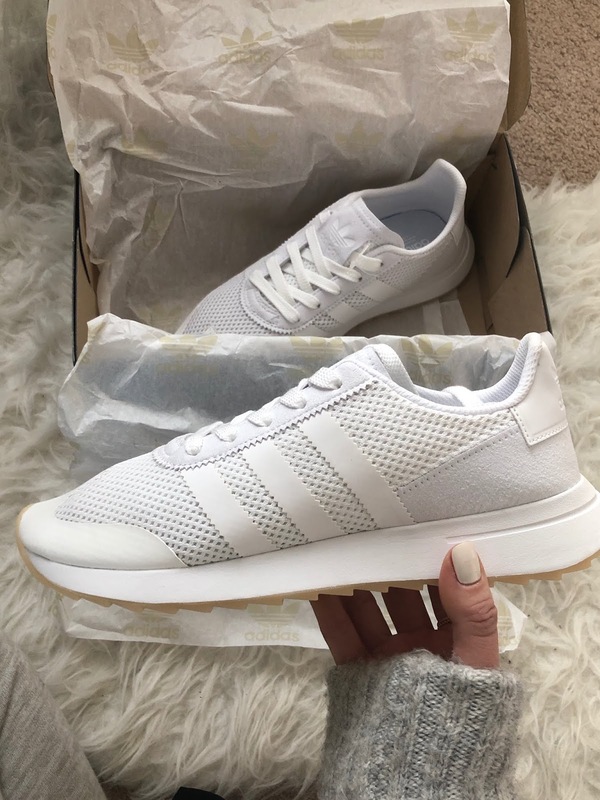 My favorite purchase so far this year are these sneakers by Adidas. I wanted to get all white sneakers for a while now, but couldn't commit. When I saw this pair on Amazon, I instantly fell in love. They fit true to size. The front is made from a thin material so you see an outline of your toes when you walk sometimes, but it doesn't bother me much.